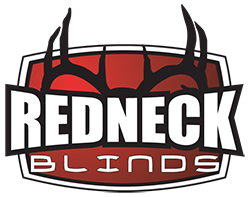 Exterior Size: 74" x 74" x 83"
Interior Size: 71" x 71" x 80"
Side & Back Windows: 27.25" x 9.5"
Corner Windows: 46" x 8.5"
Door Window: 18" x 9.5"
Do you want the Best Bow Blind available? How about the Best Gun Blind Available? How about the Best Crossbow Blind Available? 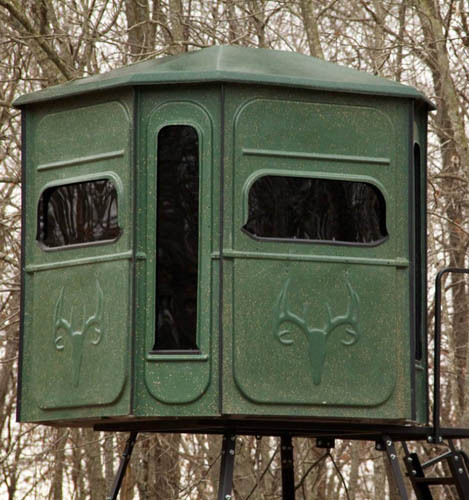 The Buck Palace 360 6X6 Crossover Blind is hands down the best blind on the market for whether you are hunting with a gun, bow or crossbow. The oversized 14" tall X 36" wide horizontal windows and 46" tall vertical windows provide great visibility, and great shot angles for bow, gun and crossbow hunting, giving you that extra advantage when a trophy presents itself. 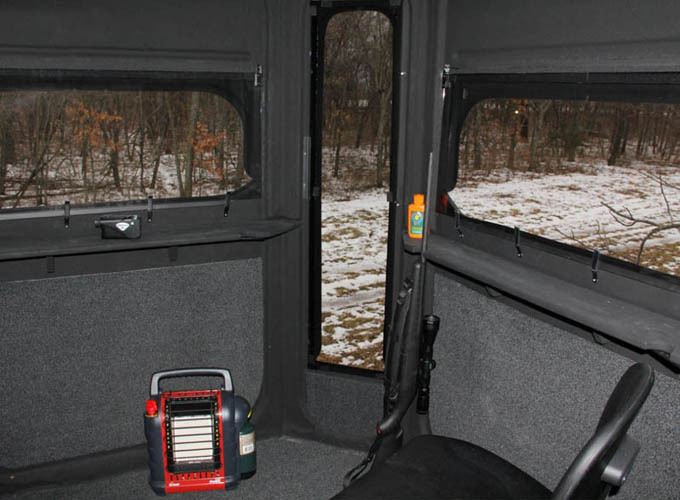 The Buck Palace 6X6 is also a favorite for hunters that like to film their hunts with plenty of room for all your camera gear, tripods and plenty of windows to film from.